The Arts Center of Yates County mounts six to eight exhibits of local, regional and international artists every year. Please stop by our 'Flick Gallery' regularly to see our exciting new exhibits. 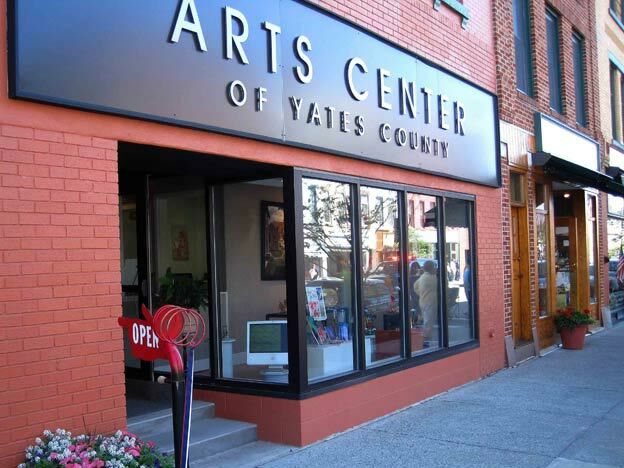 The Arts Center of Yates County features fine arts and high-quality crafts, including a wide range of media. You can find painting, sculpture, woodworking, pottery, glass, fiber arts, book arts, basketry, jewelry and more for sale at reasonable prices. Come for a visit and meet our friendly volunteers who are always happy to help you.